Looking through the other titles in the series at the back of the book, they’ve engaged some good writers, mainly but not exclusively fiction. I see that this novella was originally published as “Everything Precious” by Paspayley. Paspayley? Publishers? 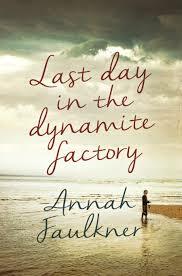 It’s only now, as I write this blog entry that I’ve remembered reading about this: Anna Funder (winner of the Miles Franklin back in 2012) was funded to write a short story aimed at a young female demographic by Paspayley Pearls. The company had come in for some adverse publicity through a Four Corners episode in 2012 investigating the death of one of its pearl divers, and the company contracted Special Group advertising agency to produce a campaign aimed at a market that had not, until then, seen pearls as a fashion item. A chapter of the book was released online each day, accompanied by a video clip featuring an actress wearing Paspayley pearls. At the end of the week-long campaign, the whole book was available for download as a free e-book and in hard copy. Of course, if I’d read the back cover, I would have known that it had been published online under a different title. Learning all this changes the direction of my thinking about this book. 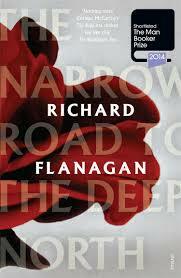 I wonder how Penguin came to publish it, when it’s available online anyway? Is that why they changed the name? I think I’d feel a little cross if I shelled out the $9.99 to buy it, only to find that I’d downloaded it for free six months earlier under another title. In fact, I’d been thinking about the pricing of this book, even before I learned of its digital incarnation. I read it in 45 minutes, and $9.99 seems rather expensive for less than an hour’s reading. Then I remembered Weight Watchers (of all things). They consciously price their sessions to be the same price as a cinema ticket- enough to twinge, but a price comparable to a fairly common entertainment activity. I suppose that movies go for about 100 minutes at $20.00 for a full-price ticket at Hoyts, so I guess that an hour’s reading (I’m a fairly fast reader) at $10.00 makes the book and a movie somewhat comparable. This all seems rather grubby and mercenary, but I must confess to feeling emboldened to pursue the idea now, knowing that the book was funded as a commercial venture in the first place. Although all books are, I suppose: the difference lies in the fact that instead of a publisher funding it, a jeweller did. As for the book itself: it is very much a modern story. Tess is the mother of three children and the daughter of a widowed Judge now in an aged care facility; she has a career as a legal editor that takes her to international conferences; she has been married for seventeen years to Dan, an academic. It’s a life of school-runs, mobile phones and i-pads. All this technology both suffocates and liberates, and it is through technology that she can find a man she knew and loved long ago. Despite its modernity, the story is told in a detached, rather interior fashion, and to my shame, it was only when I read the Saturday Paper review of Funder’s book that I realized that it’s a Chekhovian voice that I’m hearing. The story is a riff on Chekhov’s short story The Lady with the Dog (available online here), and realizing this, I have even more respect for what Funder has done with it. I shouldn’t imagine, though, that there will be many readers who will make the connection with the Chekhov story- I certainly didn’t. This story is strong enough to stand as a novella in its own right, and I think that it would be stifled by being in a collection of short stories. Tess is a nuanced character and her lifestyle and thoughts completely plausible, even for someone a good fifteen years older than she. In my 45 minutes of reading, I experienced a full range of emotions: fear for her, a gooey warmth at the romance of it, an ending that satisfied. In all this, the book is thoroughly self-sufficient. Nonetheless, I can still imagine that Paspayley would have been delighted that she’d encapsulated their target market (Western, educated, wealthy, approaching middle aged without admitting it, female) so well. 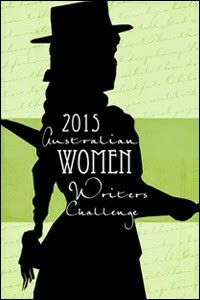 I’ve read this as part of the Australian Women Writers Challenge. “I never taught you how useless words are, did I?” says Jovan, encountering a former student, who offers her stilted condolences on the deaths of Jovan’s children in a far-off country in a far-off time. 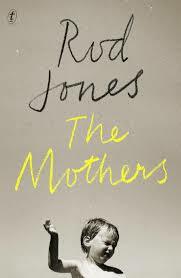 Ah, but words are not useless to Jovan, nor to this novel, which interweaves graffiti, poetry and silence in an exploration of grief and displacement set in bayside Melbourne during the 1990s. Jovan had been a Bosnian poet and, like his wife Suzana, an academic in the former Yugoslavia, but that is in the past. Now, newly arrived in Australia, Jovan is a hospital cleaner, while Suzana does domestic work. 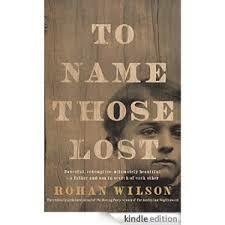 They are distanced from each other, but joined by a raw, inarticulate grief over what they left behind in Sarajevo. Jovan is sleeping around, Suzana teeters on the edge of mental illness and buries herself in literature. At the hospital where Jovan works, an unidentified graffiti artists carves, daubs and etches cryptic messages that become increasingly violent and unhinged. This mystery is the hook that draws you into the book, but by half-way through you realize that the story lies elsewhere. Not that the thriller aspect is abandoned completely, because it certainly drags you by the hand in the closing pages which were quite unputdownable. But for me the real strength of the book was in the layering of Jovan and Suzana as characters, and their tentative negotiation of a new life in a new place. The book is written in present tense, which usually I bridle against. But in this case, I barely noticed. Many of the sentences are short, and the text is disrupted by bursts of poetry. 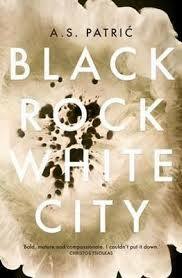 The duality of the book is reflected in the title: Black Rock (the bayside suburb) White City (the literal translation of ‘Belgrade’). The cover carries a blurb from Christos Tsiolkas, and there are resonances here of Tsiolkas’ book Dead Europe. 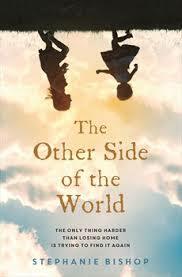 However, it’s very much an Australian book, and its darkness is set against a hot dazzling Australian summer. It’s very good- I’m detecting murmurings of ‘Miles Franklin’ and I think they’re right. Reviewers often use the word “powerful” too often to describe a book that is either engulfing or a steamroller. This book is powerful, but quietly powerful in terms of the depth of its observation, the handling of different genres and purposes, and the poetry of its writing. Read because: I’d heard of it.